OMG how good are Dan Dan noodles ! If you haven’t tried them, then this is a must on your next visit to a Szechuan restaurant. What is Dan Dan noodles, well this is one of the most famous of Sichuan street foods. The freshly boiled egg noodles are served in a savory, spicy broth topped with crispy pork and peanut flakes. 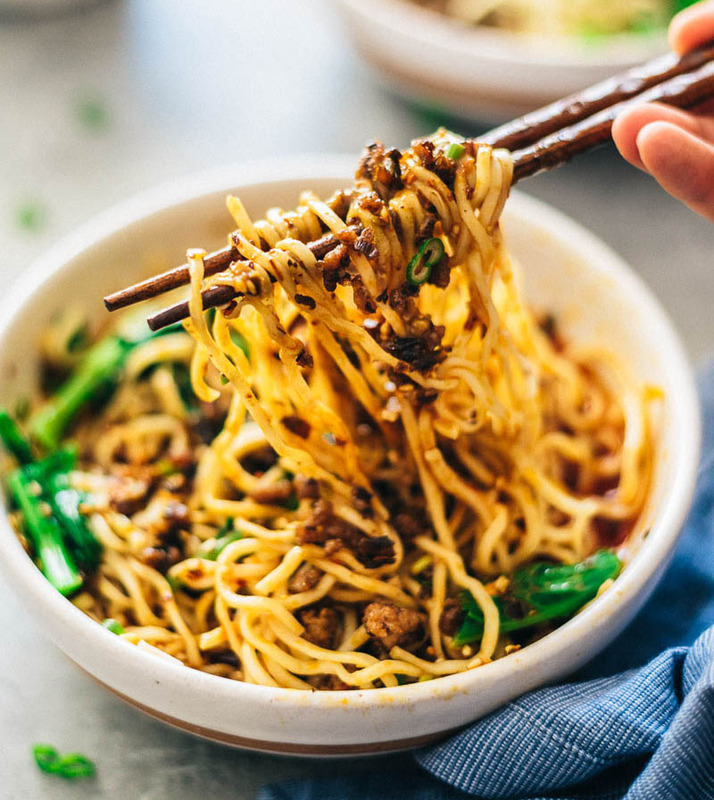 Simply stir everything together with a pair of chopsticks to coat the noodles with a bit of everything and slurp away! The numbing, smoky, spicy sauce will shock your taste buds, leaving you craving for more. Basically there are four parts to this meal, the broth, the noodles, the noodle sauce and the meat topping. Either make your own chicken broth or use a good quality store bought stock. To the stock add a splash of soy and a good glug of Shaoshing wine. Simmer for a few minutes allowing the flavours to infuse. The noodle sauce is all important. Get this right and you’ll have a winner, screw it up and the whole dish will be bland. Mix all the ingredients in a bowl and set aside for later. The meat topping provides flavour and texture to this awesome dish, don’t be shy with the bold flavours. Slowly fry the pork on a medium/low heat until the fat render out and the prok starts crisping up. Add ginger, fermented black beans, mustard greens, cooking wine, and sugar. Cook and stir until all the liquid has evaporated and the pork turns a dark brown color. Finally add the spring onions toss through the mixture and then transfer to a bowl and set aside. To assemble the dish, its a couple of quick and easy steps. In a bowl add 100ml of the stock. Garnish with chopped peanuts, fried shallots and whatever else you want. 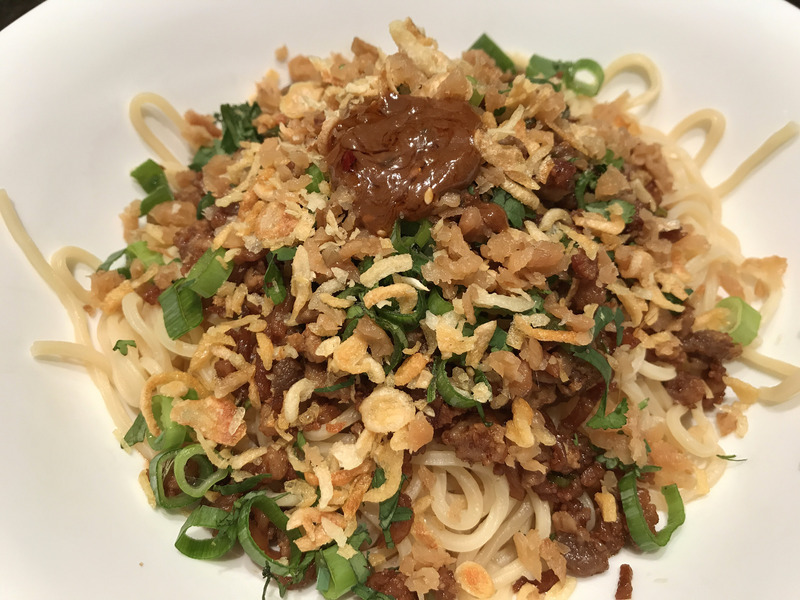 Tags: chilli, dan, dandan, noodles, szechuian. Bookmark the permalink.